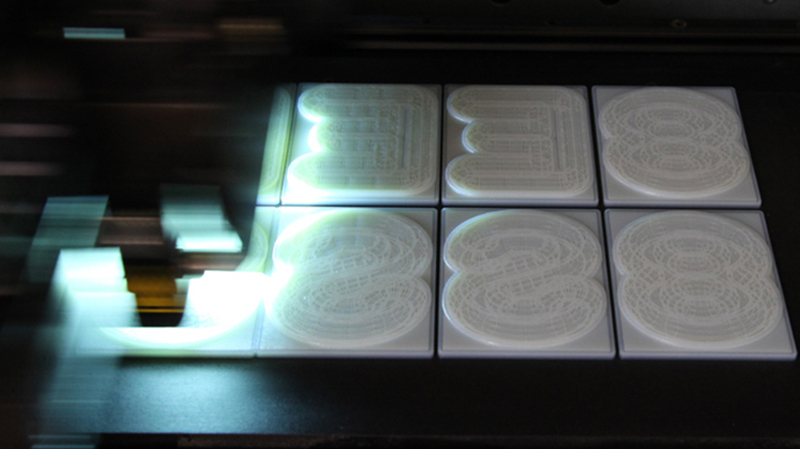 We were approached by Richard Ardagh at New North Press early in the year about producing a 3D printed letterpress block. Richard had brought along with him several tests he had already got done by other companies using other processes and none had performed to his liking. Due to the inking process no powder based print was going to be suitable as its porous nature would simply soak up all the ink. 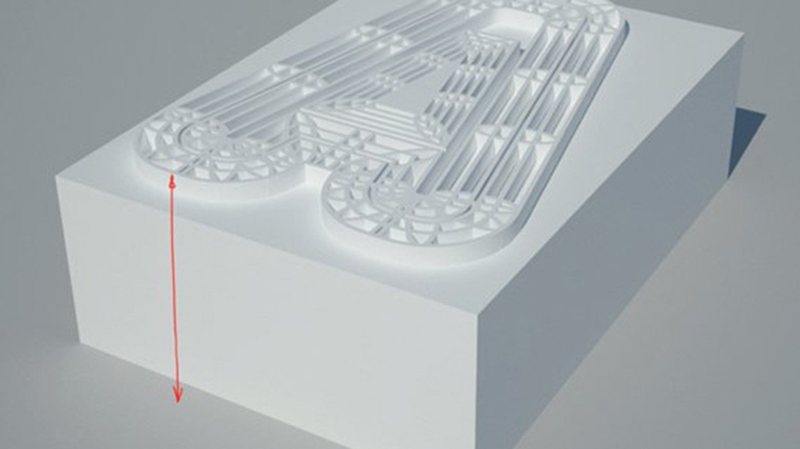 Instead we advised he used our polyjet process, a process which uses UV sensitive liquid resin acrylic to jet layer upon layer slowly building up the part. It offered very good resistant to porosity was strong in compression and could handle the fine details which he was looking for. He sent us a vector outline test file and we turned this into a 3D model which could be printed. The sample worked well and Richard set about getting funding from the arts council to fund a small project which linked the old traditional skill of letterpressing with the new modern technology of 3D printing. 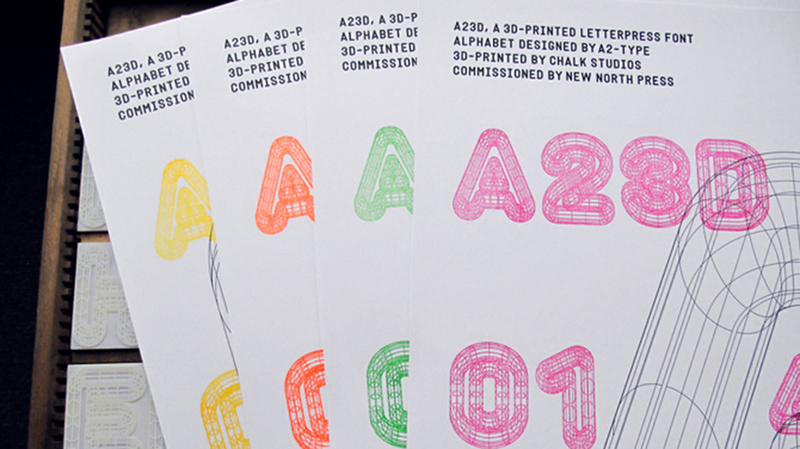 Once he had received funding he spoke to A2 Type about them designing a new font which would be made by us into a letterpress and displayed at the V&A Museum during design week. 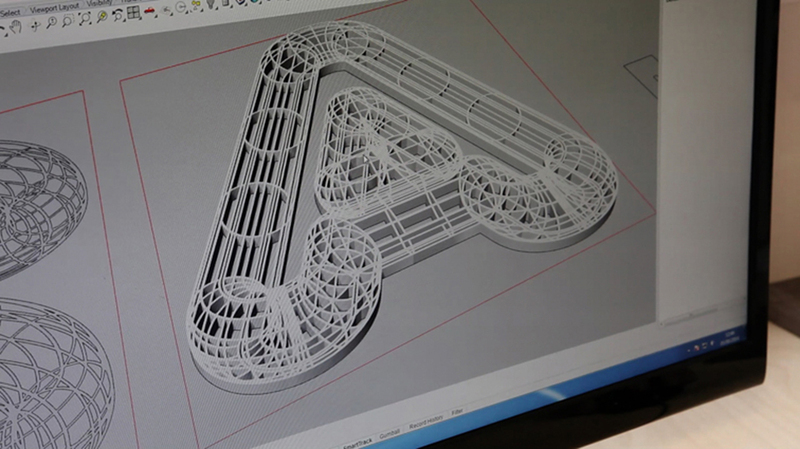 The font decided upon would reflect the 3D nature of the process and pay homage to the classic wireframe shown when modelling objects on 3D digital software. Once the design was finalised it was passed on to us at Chalk Studios who turned the 2D vector lines into a 3D model of each character. 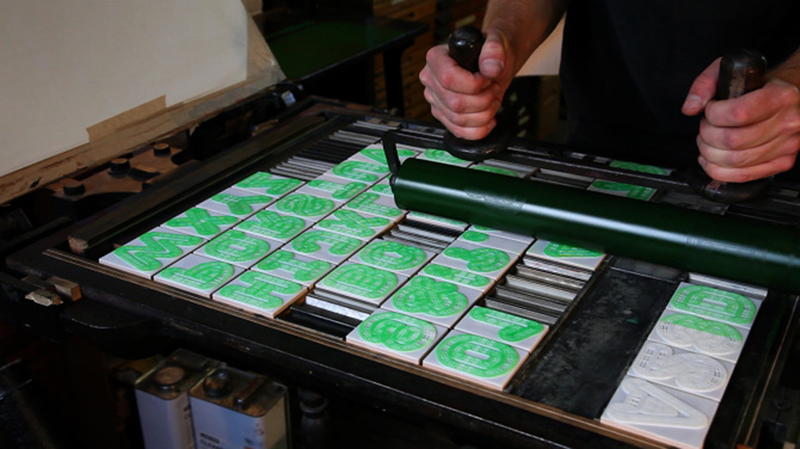 The final letterpress blocks had to be exactly 23.32mm in height so that they all receive an equal amount of ink applied to them. The final design contained such fine walls that the printer struggled to print these flat, leaving dips. To work around these we made the printed pieces 0.2mm oversize. 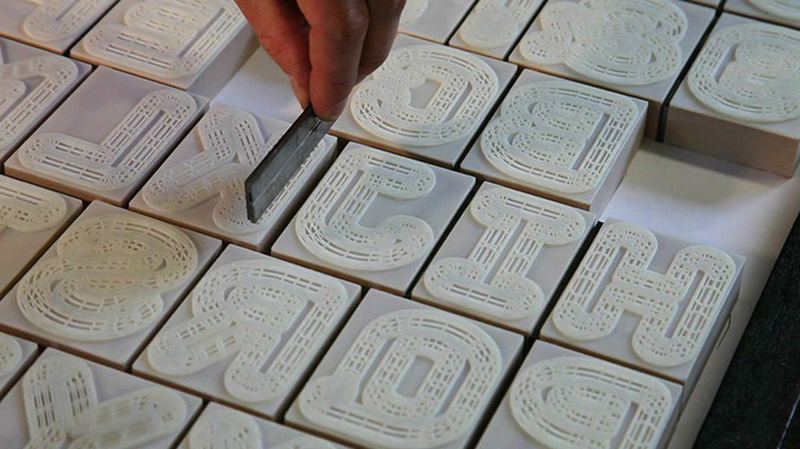 Once the characters were printed we then mounted them to CNC machined chemiwood blocks making the total height 23.52mm. We then hand sanded each character down to 23.32mm ensured we ended up at the right height and sanded out any imperfections in the top of the characters. The characters were delivered to New North Press and were used to create four posters ready for the exhibition at the V&A Museum at Design Week. To watch a video of the full process click here.